Governors Sports Network | Clarksville Sports Network - Clarksville Tennessee's most trusted source for sports, including Austin Peay State University. Clarksville, TN – Due to the recent inclement weather, Austin Peay State University and Tennessee State have agreed to move up the start times for Thursday’s Ohio Valley Conference basketball doubleheader at the Gentry Center. 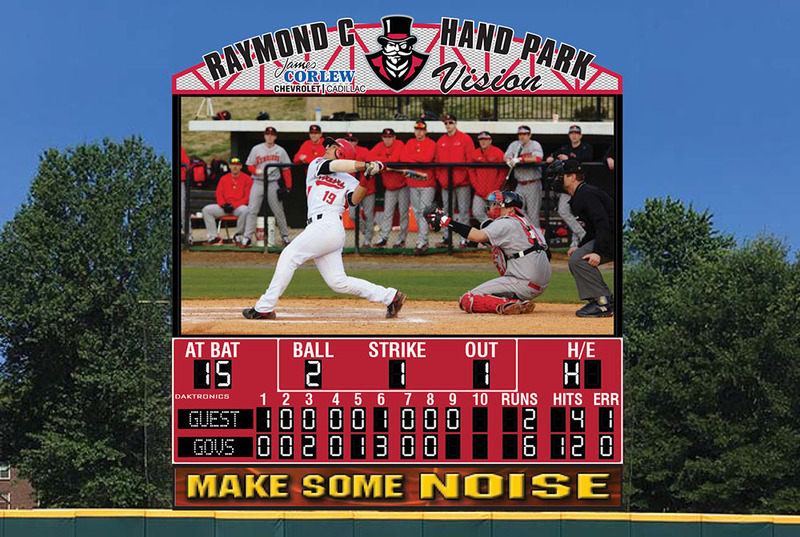 Clarksville, TN – Fans attending Austin Peay State University baseball games at Raymond C. Hand Park will have the opportunity to enjoy the largest baseball video board in the Ohio Valley Conference thanks to a significant gift from the Clarksville-based James Corlew Chevrolet Cadillac dealership, the athletics department announced Monday. Work began February 1st on the video board installation, which is being constructed by Brookings, South Dakota-based Daktronics. 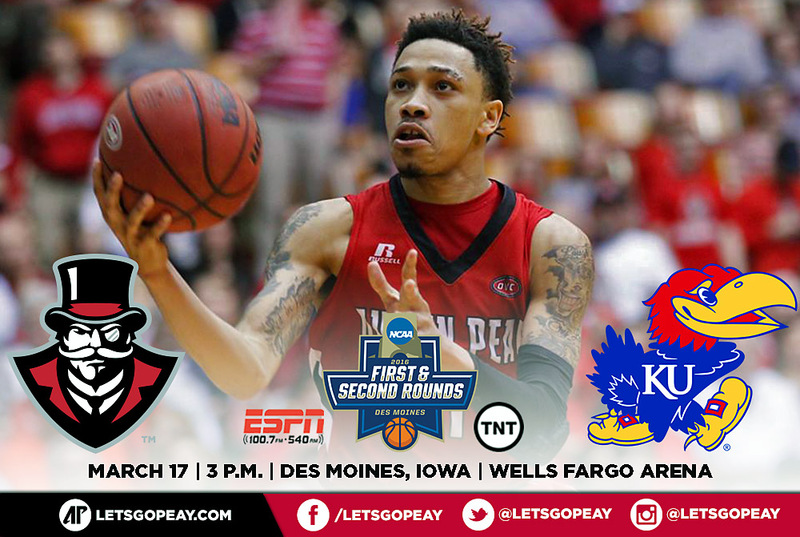 Des Moines, IA – Austin Peay State University’s magical late-season run has taken it west and if this Cinderella story is to continue the Governors hope Wells Fargo Arena becomes their “Field”, err, “Court of Dreams,” 3:00pm, Thursday, against No. 1 Kansas in first-round NCAA Regional action, to be broadcast by TNT. 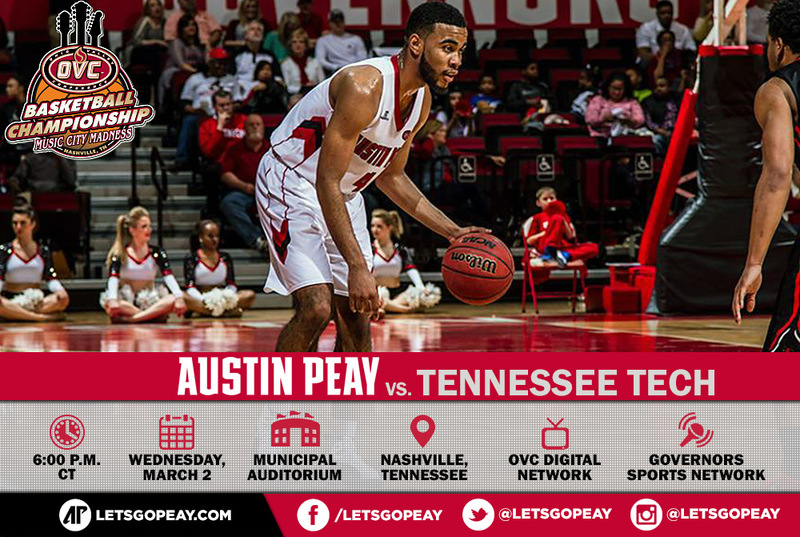 Playing in their first NCAA tournament since 2008, the Governors enter Thursday’s game amidst a six-game winning streak, their longest win streak since the 2010-11 season. Jonesboro, AR – Austin Peay State University baseball team’s Wednesday contest at Arkansas State has been cancelled due to the threat of inclement weather. 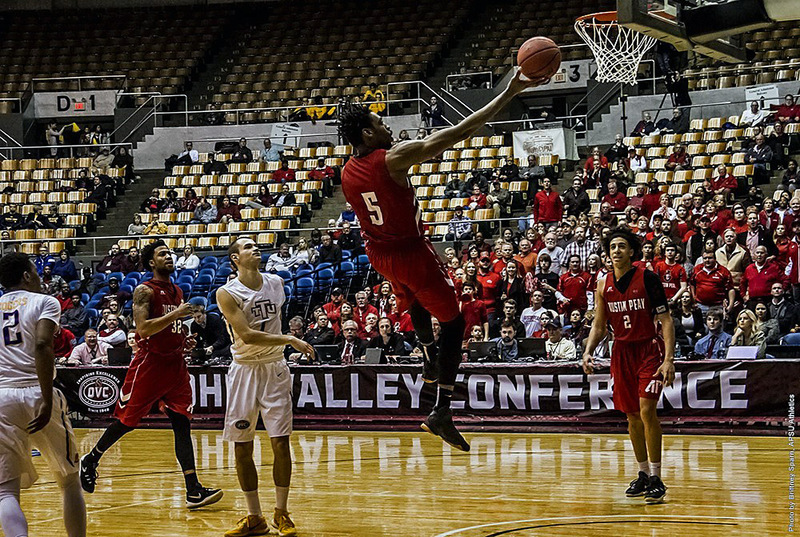 Nashville, TN – Austin Peay State University’s stay in the 2016 Ohio Valley Conference tournament has seen the No. 8 seed Governors take down both the No. 5 and No. 4 seeds, Tennessee Tech and Tennessee State, respectively. If the APSU Govs improbable run is to continue to the league championship game, they will have to take out No. 1 seed Belmont, 6:30pm, Friday, March 4th at Municipal Auditorium. Nashville, TN – After Austin Peay vanquished one higher seed in the Ohio Valley Conference tournament, Wednesday night, the Governors have their sights set on another when they play Tennessee State, 6:00pm, Thursday, in Municipal Auditorium. 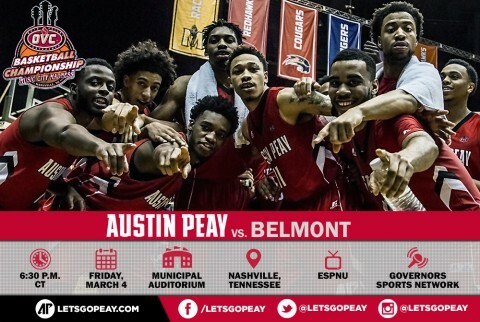 Nashville, TN – After playing the waiting game into the late hours Saturday, Austin Peay State University plans not to let the Ohio Valley Conference tournament opportunity slip from its grasp when it faces Tennessee Tech, 6:00pm, Wednesday, at Municipal Auditorium in the opening game of the men’s portion of the tournament. 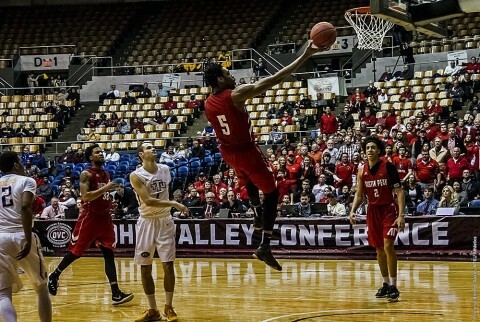 Clarksville, TN – It all comes down to one game…or maybe not. 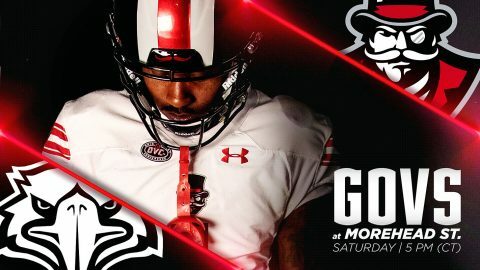 It may come down to one game and waiting around. It also may come to waiting and rushing away exalted. It may come down to waiting and waiting and walking away with heads bowed. 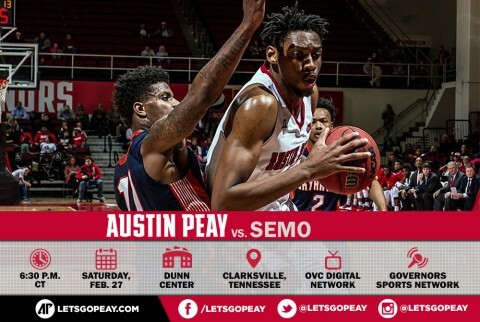 That is the position Austin Peay State University men’s basketball team is in as it heads to the final day of the Ohio Valley Conference season. 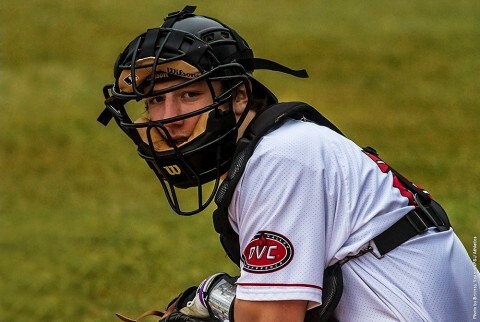 Clarksville, TN – After posting a 3-1 record in its opening week, Austin Peay State University’s baseball team prepares to conclude its season-opening seven-game homestand with the Riverview Inn Governors Challenge, Friday-Sunday. 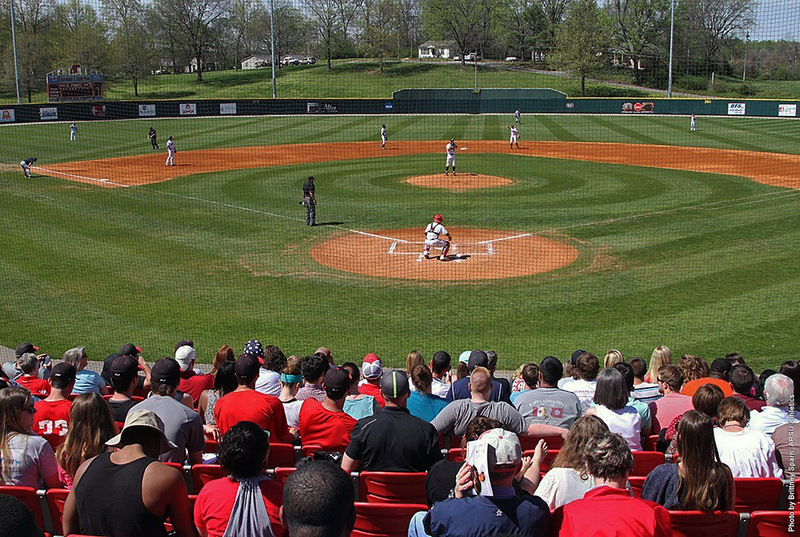 The Govs will play a 3:30pm contest each day of the round-robin event which will see Alcorn State, Connecticut and nationally-ranked Missouri State visit Hand Park.